It’s my favorite time of the year. Want to know why? It’s strawberry season here in Florida! If you’ve never eaten a fresh strawberry at the peak of season, you’ve never truly lived. Fresh strawberries are amazing on their own, but we all know that chocolate makes everything better. 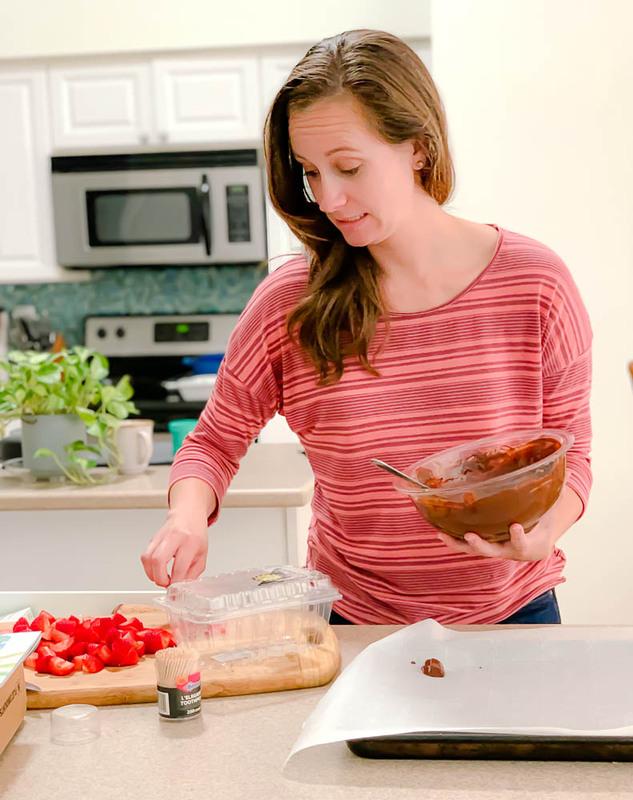 That’s why I’m sharing my frozen chocolate strawberry bites recipe with you today. I buy a ton of them when they are on sale. Then I freeze them! 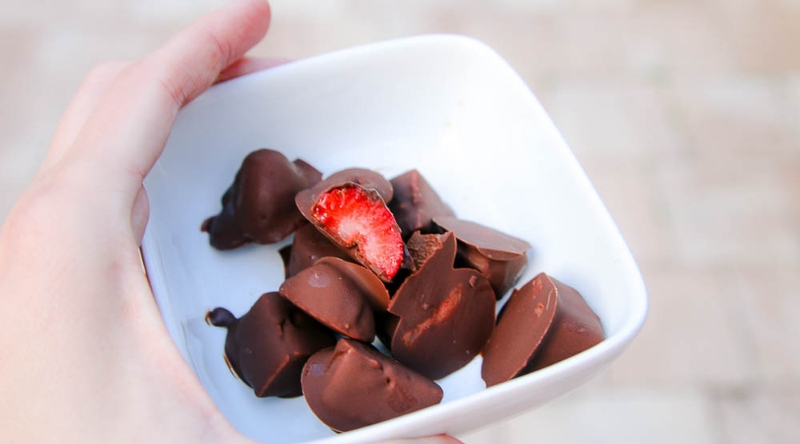 This recipe for frozen chocolate covered strawberries allows you to enjoy a chocolate covered strawberry anytime. I don’t know about you, but when I make or buy a big batch of chocolate covered strawberries, I end up eating them all in a day. Frozen chocolate strawberry bites are perfect for enjoying a little sweet treat in moderation. Or all in one sitting. I won’t judge you if that’s your style. Did you know that in season produce is totally affordable? That’s right! When produce like strawberries are in season, it’s more cost effective to grow them which means the consumer pays less. That’s why it’s always so expensive to buy produce out of season! 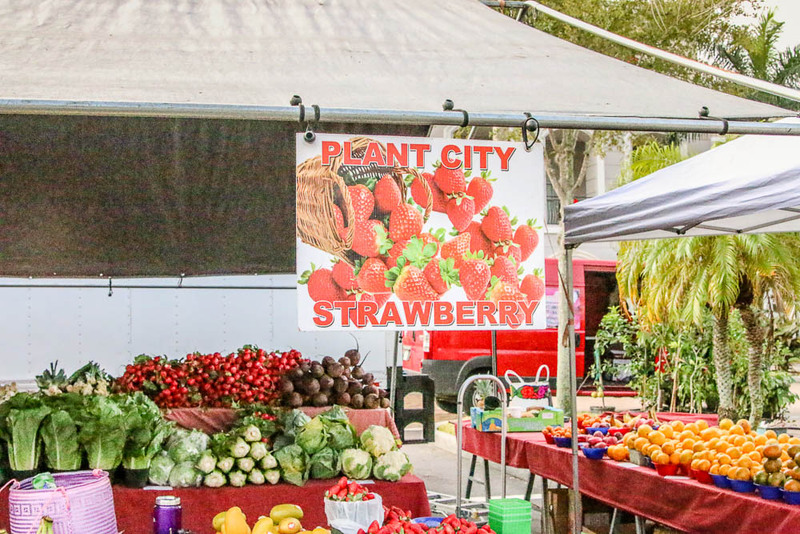 I find that the best strawberries at the best price are Fresh from Florida strawberries. Head here to see some of my favorite strawberry recipes. 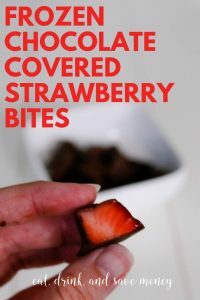 Chocolate covered strawberry bites are so easy to make. You make them just like you make chocolate covered strawberries, but with a twist. 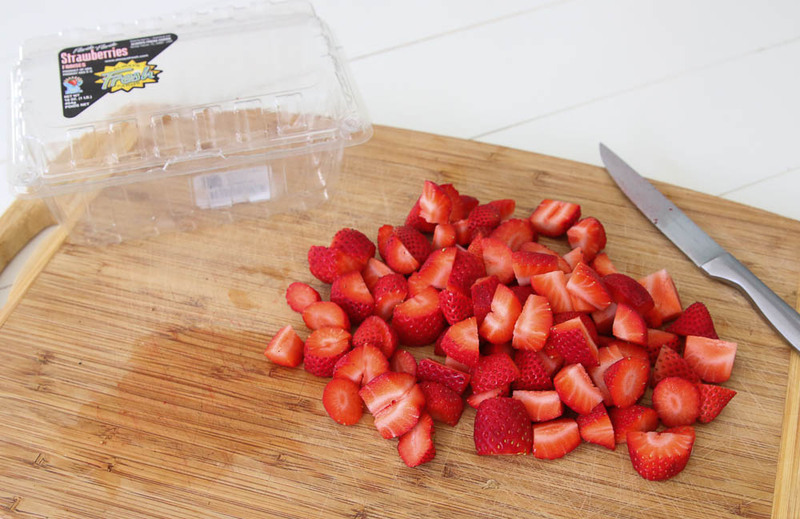 Cut strawberries into bite size pieces first. Melt chocolate and coconut oil in microwave. Use a toothpick to dip strawberries in chocolate. Forget traditional chocolate covered strawberries! 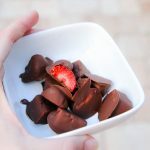 Make bite size chocolate covered strawberry bites that can be frozen to enjoy all the time. 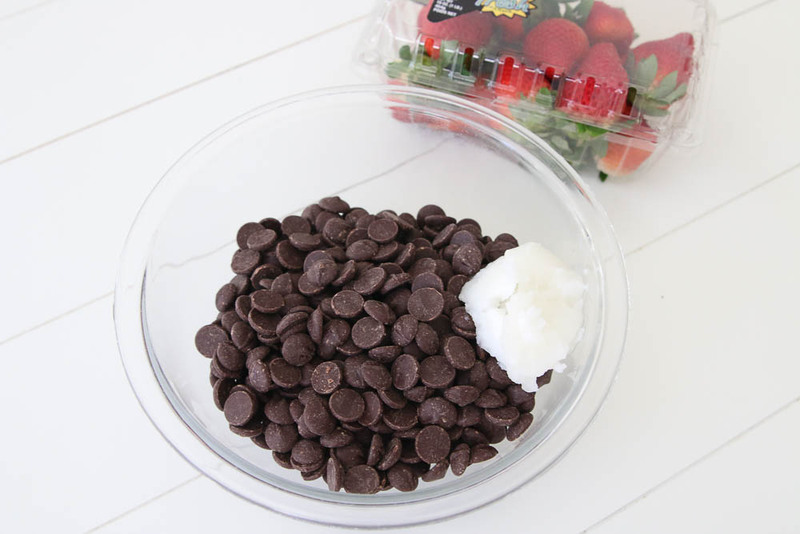 Microwave the chocolate chips and coconut oil on half power for 30 seconds at a time until the chocolate is smooth. Stir often. 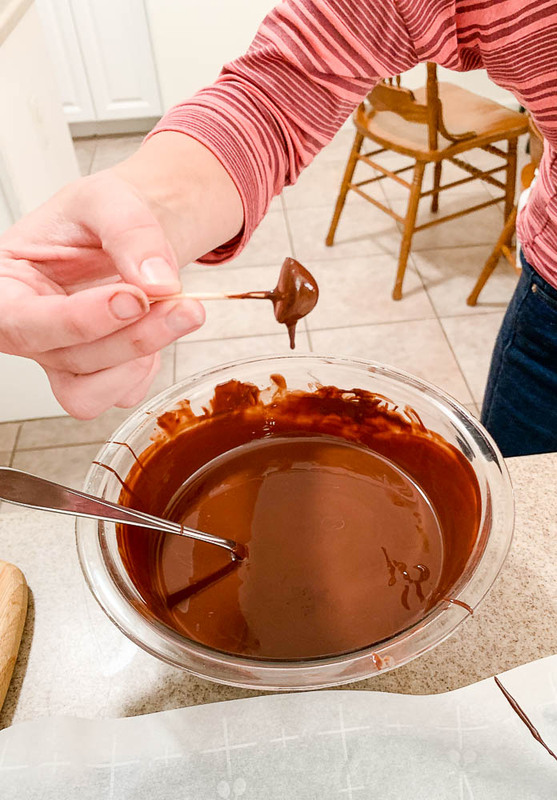 Don't overheat or chocolate will become grainy. Insert toothpicks into strawberries. Dip into chocolate and place strawberries on parchment covered cookie sheet. Freeze for at least an hour or until hard. 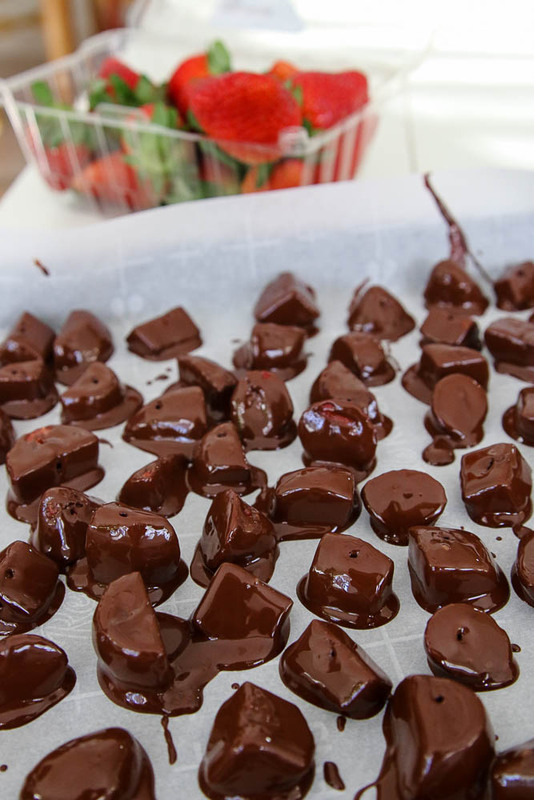 Once hard, transfer chocolate covered strawberry bites to a freezer bag and keep frozen. Don’t make traditional chocolate covered strawberries and then freeze them. 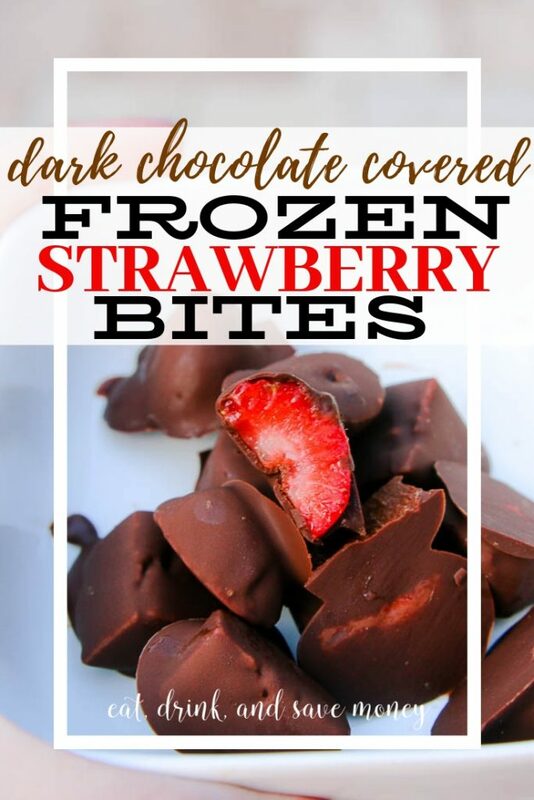 That’s why you must make these frozen chocolate strawberry bites if you want to enjoy frozen chocolate covered strawberries. I buy strawberries all year. My boys aren’t picky about them and will eat them out of season. But me? Nope. I’m spoiled by the fresh Florida produce and I only eat them in season. Once you eat a locally grown strawberry that was grown in season, you can’t go back to eating them any other way. I swear. Follow the Fresh on social media (Instagram, Facebook, and Twitter) and check out their Fresh! recipe videos. This looks delicious! Also I love the idea of freezing strawberries when they are cheaper and eating later. Great idea. Yes! So much cheaper! I love delicious hacks like this!